The 2018 Local Union contract training conference, sponsored by the UMWA’s International Contract Department, will be taught by the faculty of West Virginia University’s Institute of Labor Studies and Research. This year’s participants will be offered three different agendas. For first year participants, steward and grievance training will incorporate labor history, steward roles and responsibilities and grievance writing and presentation. Second year attendees will be offered training on the Union at work which includes current labor issues, leadership development and Union effectiveness. In a change this year, the third year class will join the advanced attendees for an intensive workshop addressing representation in a “right-to-work” environment which will cover legal basics and best practices in an increasingly so called “right-to-work” world. 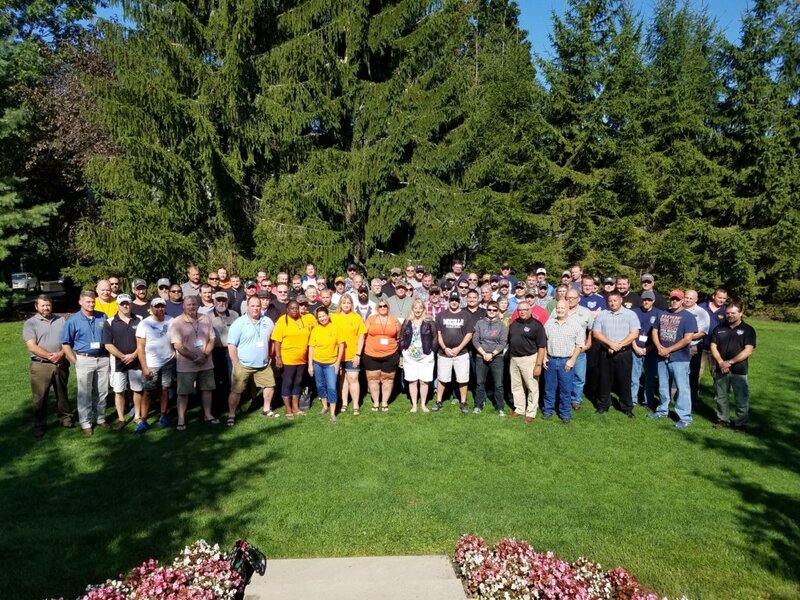 The program, which hosted almost 80 UMWA members in 2017, is open to all Local Unions and will be held at The Resort at Glade Springs located in Daniels, W.Va., August 19th – 22nd. Registration is $225.00 per person, which covers all instructional costs. Individuals need to make their own room reservations with Glade Springs by calling 1-877-814-7316 and identifying themselves as UMWA summer school participants to get the special rate of $83.00 (plus 12% state and local tax) per night. For more information or to register for the 2018 program, contact Sharon Mayfield at 304-293-3324 or email SKMayfield@mail.wvu.edu. Class and hotel reservations must be made by Friday, July 6th.